IS YOUR FUTURE SECURE IN THE TRAVEL BUSINESS? 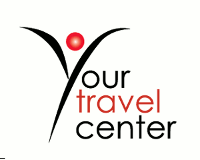 Your Travel Center/Montecito Village Travel, A Virtuoso Travel Agency, seeks professional leisure travel consultants with established business for our busy Santa Barbara office. Good salary & benefits, medical and 401K. Email resumes to employment@ytc.com. Seeking candidates with 3-5 years experience for our luxury leisure office. $1000 SIGN ON BONUS for agents with a following (to be paid after 1 year of employment)! ALSO, looking for busy professional independent contractors located in the US. Visit www.ytc.com for more company information.